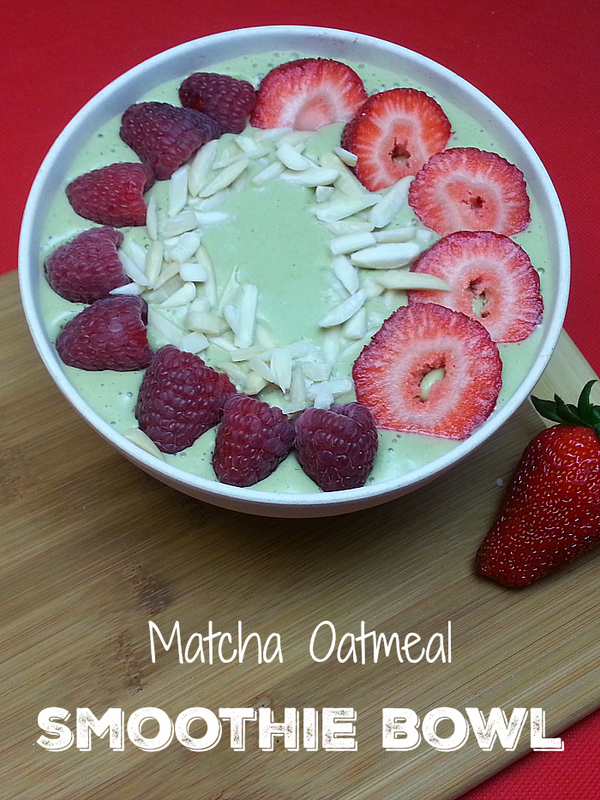 A matcha smoothie bowl is a delicious way to start the day! When I’m rushed in the morning, a smoothie that I can drink from a straw is great. 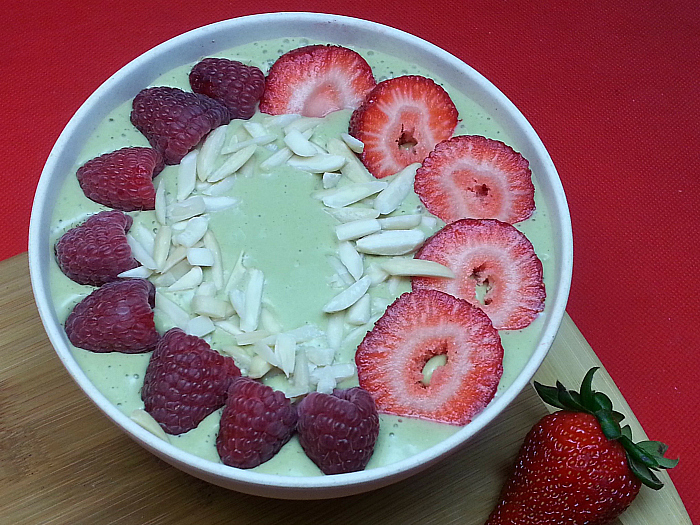 When I’ve got a little more time to eat, a smoothie bowl is the way to go. 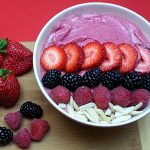 It’s a great way to combine a variety of healthy ingredients into one delicious meal that looks as good as it tastes. 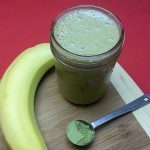 The Matcha Oatmeal Smoothie Bowl has a kick of caffeine from the green tea matcha powder along with the nutritious goodness of oatmeal, bananas, yogurt and almond milk. You can get creative with the toppings. 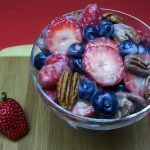 I like this combination of sweet berries and crunchy almonds. 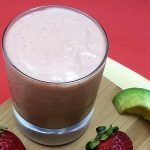 Blend smoothie ingredients in a high speed blender until smooth. Poor into a bowl and add toppings.